We can all agree: Money changes the way we act. It's arguably one of the greatest motivators. In sales, it can incentivize reps to work harder to close more deals, meet their numbers, and even adapt to new sales tech. If set correctly, incentives can have a positive effect on your team's behavior. 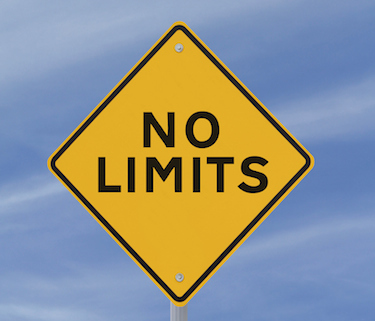 The reality is that most companies offer sales incentives — we at HubSpot do, too. But we put the customer first, and we compensate our reps for doing the same. But this takes time, a thoughtful approach, and the support of your entire company. 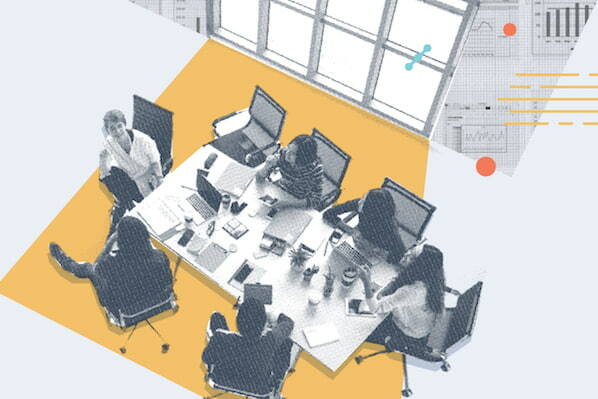 Hear how we at HubSpot think about incentives and how we make sure we're motivating sales reps to do the right thing by our customers in the audio segment below. However, there's no one correct, catch-all way to inspire your sales team. It depends on your business and what you ultimately want to achieve. That flat screen TV or Paris vacation aren't your only options. There are a myriad of strategies to motivate your reps. Here's a story from one HubSpot customer about their shift to a 100% salary based sales team. In 1936, Baker's great-grandfather, Herbert, founded Rumford Aquarium, a retail fish supply store. Over the next nine decades, it expanded into what is today PFX — a one-stop shop for independent pet retailers. 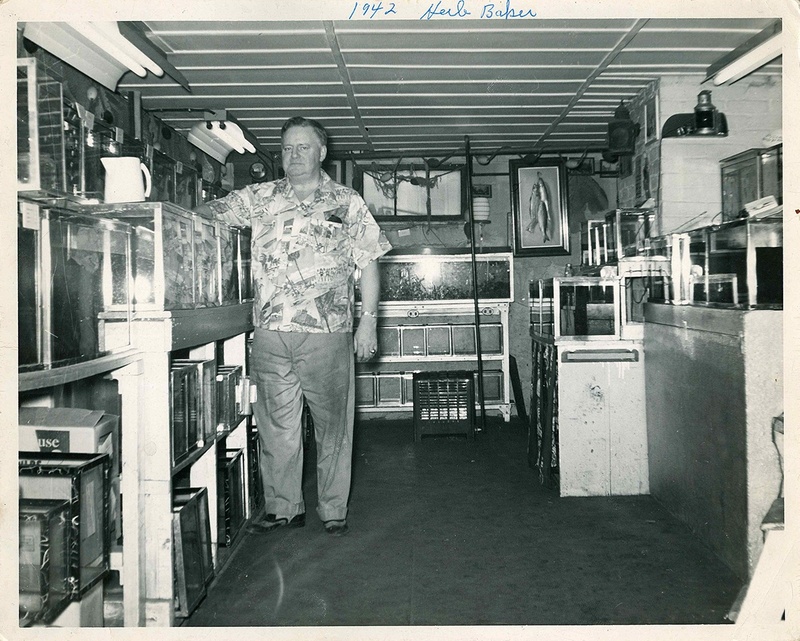 Rumford Aquarium founder Herbert "Salty" Baker in 1942 in his basement pet store. He specialized in live fish and aquarium supplies. When Baker became President and VP of Sales in 2003, eventually acquiring the company from his father in 2005, he was immediately wary of his team's commission-based compensation plan. 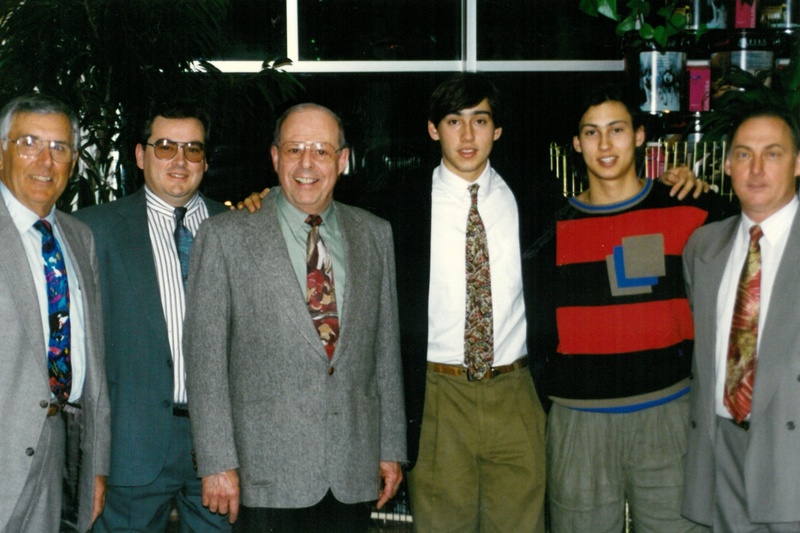 He'd seen some of PFX's legacy salespeople take advantage of the system under his father's tenure. When visiting client stores to take inventory, they'd write excessive pet supply orders to pad their commission paychecks. "These guys had spent a career mastering this old-fashioned art of getting away with things and clearly took great pride in exploiting their strongest relationships," says Baker. "I'd grown up with these men, they'd trained me, but I knew in my heart of hearts that there was no way I was going to curve that behavior. I thought it best for the business that we go cold turkey." He let them go. Suddenly, the PFX sales team went from four to zero reps, despite having just doubled its territory beyond the New England region for the first time in the company's history. Shaking up his sales team wasn't the only change Baker made when he purchased PFX from his father — he also began to examine the company's mission and revenue sources. Up until this point, 93% of PFX's revenue had come from one single large vendor — and Baker recognized the need to diversify its portfolio. "Having one vendor had never struck me as a threat. Every year we grew, and it seemed like it would never end," Baker says. "But I began to consider our success in the long term, as I was the fourth generation in our business. I didn't want to be the one responsible for destroying the family legacy." Out of a "little bit of fear and a little bit of business sense," Baker began acquiring more companies and developing PFX's own sales strategy and relationships. Through these compensation changes, Baker found monthly SPIFs to be the most destructive. As their portfolio grew, the team strategized with new vendors to determine high-priority products for the PFX reps to push, assigning them as the "monthly focus brand." 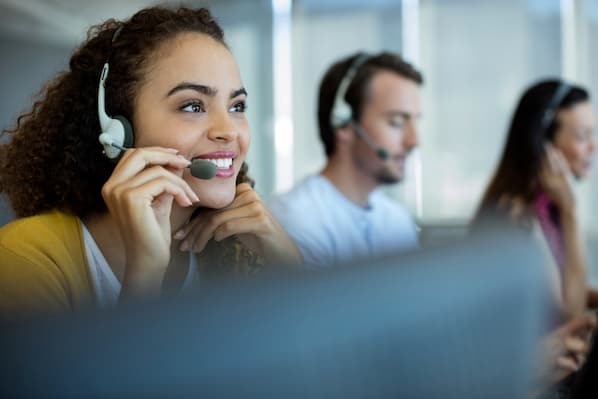 It was a key method of growing the business and attracting new vendors, who were thrilled with the numbers, but it put pressure on his salesforce to highlight certain brands to clients over others. 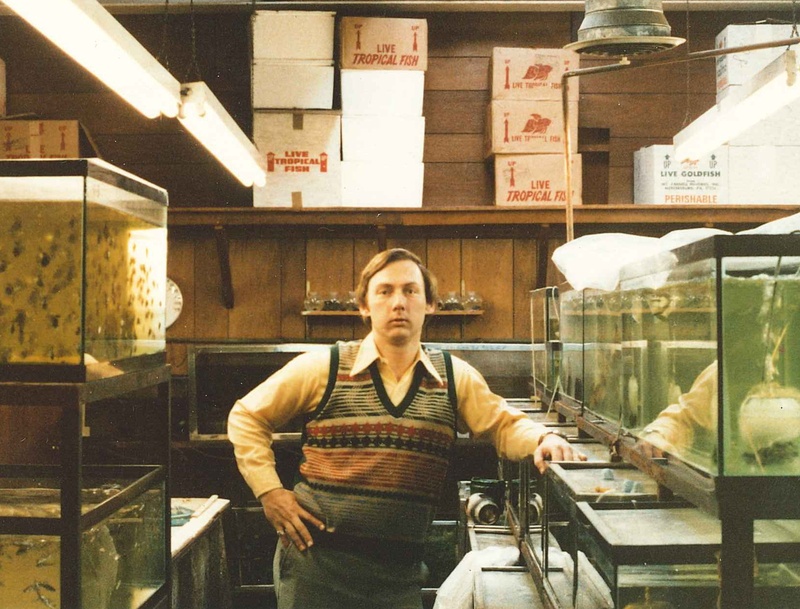 Third generation owner of Rumford Aquarium and Baker's father, Buddy, in the 1970s. "Every vendor wants your sales guys to pull out their sales sheet first or show their bag of food first," Baker says . "They want to be presented at every client interaction — what vendor wouldn't?" Part of promoting a "monthly focus brand" was securing endcaps at the end of pet store aisles. A few reps in each region were consistently overselling endcaps, sometimes by 50%. At first, Baker was thrilled. But two months after a deal closed, pet stores would return their endcaps because they were unhappy with the product and were promised a guaranteed sale — and there wasn't a way to pull back reps' SPIFs or bonuses. "We were creating an incentive that was good for the vendor, the sales rep, and ultimately — if we had a guaranteed sale — for the client, too," Baker says . "But long term, it didn't make sense. We were incentivizing short-term bad behavior." Baker's discomfort with his team's successes felt counterintuitive. After all, they were doing what he wanted. "They were achieving, but it was like doing extra credit in school," Baker says. "They were getting 110% on a test, but it wasn't for the right reasons." One of PFX's salespeople sold the most endcaps for seven months in a row, so Baker called to congratulate him and ask about his methods. The rep said that one of his customer's line accounts receivable had cut her off because she couldn't pay her bills. "The rep paid her balance on his credit card and she bought two end caps. And the rep knew that customer didn't need even one," says Baker. And that wasn't even the worst of his problems. When trying to reach their monthly goal, some reps felt like this method forced unwanted products onto their customers. One salesperson reported that selling chemical-based tick repellant to stores in New England was impossible — these customers were ahead of the curve and only wanted natural products to use around their dogs and kids. Baker says: "My mission is to help independent pet retailers win. How can I do that if I'm pushing unneeded, irrelevant products they don't believe in down their throats?" That's when PFX began really focusing on distributing natural, holistic pet foods to independent retailers. And that change in focus meant prioritizing customer relationships above everything else — including the happiness of his vendors. Baker needed to build trust with these small mom-and-pop retailers, and that wasn't going to happen by promoting a "monthly focus brand." Baker found that he'd fallen into a trap of trying to please vendor reps, who themselves were incentivized based on how many trucks of supplies PFX bought. His sales team was promoting brands to clients not because they were good, but because they were paid to do so. That's when Baker realized he couldn't change his vendors' behaviors, but he could change his sales team. Gone went incentives and in came salary-based pay. Switching to a 100% salary-based compensation plan wasn't easy. The majority of his salesforce and his vendors didn't take it well. Soon after Baker met with his teams and told them about the switch, many gave their notices. A few were upset about losing the ability to make more money, while others couldn't or didn't want to get used to the change. ‘It was a risk to abandon incentives, but it didn't sit right with what we were trying to build as a long-term, trusted partner of independent retailers," Baker says . "We couldn't afford to take advantage of these trusted relationships anymore." Sometimes the new sales teams he's acquired since also find it hard to stomach. After adding a four-person sales team through an acquisition, Baker informed them that they'd be treated no differently than the rest of the PFX team and would receive a set salary. The team was displeased by the change — they were used to a 20-30% incentive compensation. Within a few months, all of them left. "There's no doubt in my mind that the salary played a part in their leaving. They were just unable to live without commission," says Baker. "They were good reps, but they couldn't live with the switch." "People would say, ‘How am I going to get up in the morning? If I had a limited upside, why would I work extra hard?'" says Baker. But these were people PFX could afford to lose. 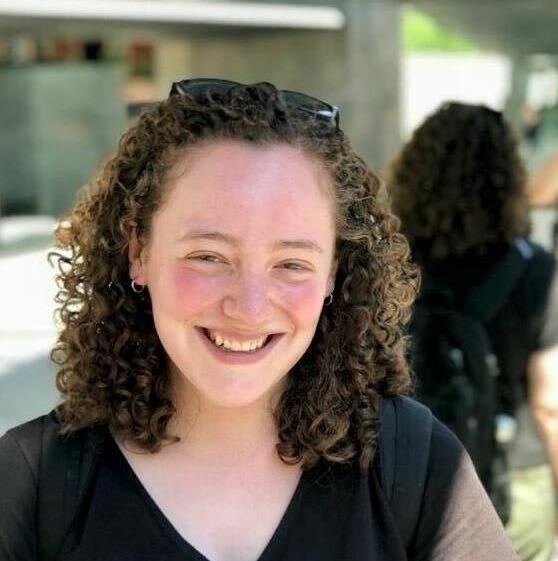 Baker brought on new, skilled reps who understand the company's mission, drive, and relationship-focused sales approach — reps who are motivated by a personal connection with their pet, care about animals' health and nutrition, and value their customers. For those who stayed and welcomed the change, watching their peers leave only made them believe in the company's mission more. And his vendors? They're not thrilled about Baker's decision, but they respect it. PFX's vendors still have the budget to reward his sales team. While Baker can't stop them from awarding bonuses, he can stop the money from benefitting one individual rep. Instead of allowing one member of his team to benefit from a vendor's incentives, PFX uses the money to celebrate company victories as a team. "We've experienced growth, but we're most proud of the way we've done it," he says. "My next goal is to fortify our company culture, people, and systems." Beating the competition isn't Baker's main goal — serving his customers is. PFX has a strong relationship with their clientele, who applaud his decision to operate without commission or incentives. When considering if he would recommend implementing an incentive-free system, Baker highlights that his career is in a singular industry, and this system may be difficult to replicate. It's very difficult to make the switch when a sales team is already used to a commission-based plan. Reps that are over-delivering — they're the ones that'll most likely walk. 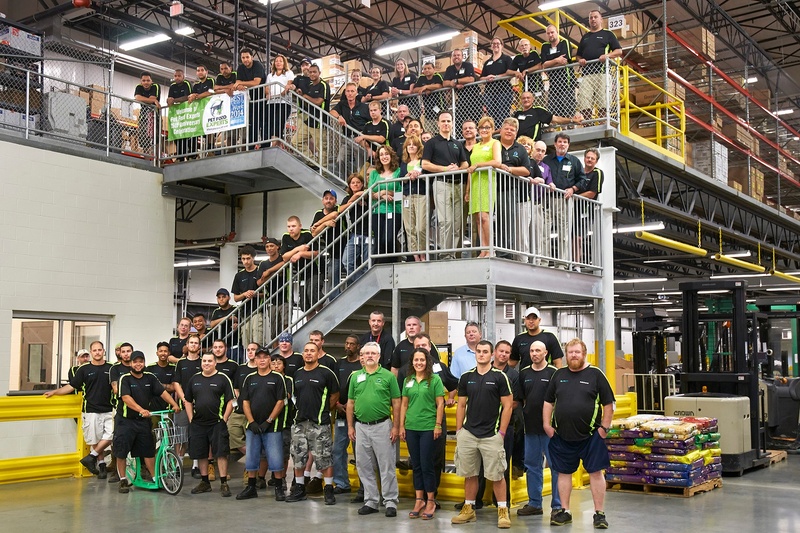 The PFX team in the company's PA warehouse in 2015. "If I was going to start another business, I wouldn't choose an industry or a product line that didn't allow me to have this compensation plan. I've seen the light," he says. "If you have the right people, and if there's a clear purpose and need for whatever you're selling, then I don't see why this couldn't apply to anything." Seven years later, PFX is still the only company with a salary-based salesforce within the pet food industry. Baker guesses it's because his competitors can't see themselves surviving after the switch. But for Baker, it's worked. Well. And PFX's clients agree. "Most importantly, the customers think it's great," Baker says. "They trust that when any of my reps walk into their store or calls them, they have no incentive to sell them something that isn't going to help them win. We have no reason not to do what's best for them."